Blackmores Folate is a source of folic acid which, if taken daily for one month before conception and during pregnancy, may reduce the risk of women having a child with birth defects of the brain and/or spinal cord, such as spina bifida. 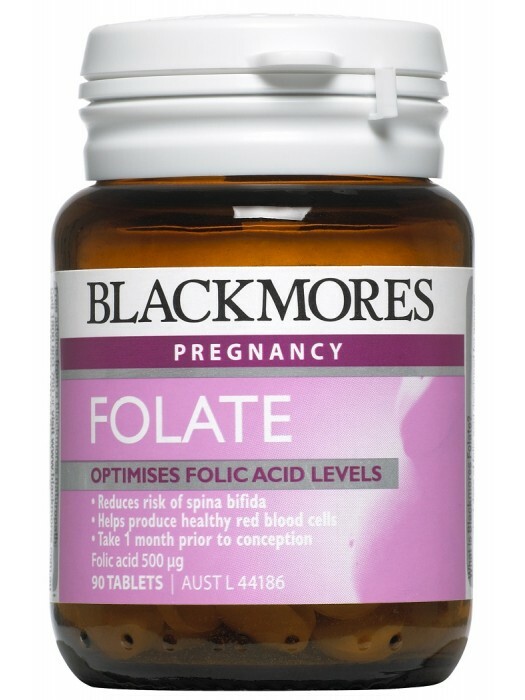 Folic acid is also one of the nutrients necessary for the production of healthy red blood cells. Folate, also called folic acid, plays a role in DNA and RNA synthesis and so is critical in cellular division. In order to divide properly cells need adequate folic acid. The development and growth of a foetus involves constant cell division, which can lead to an increase in the mother's demand for folate.